IT admins in their organizations take their responsibility very seriously in order to ensure that the right people have access to the appropriate resources. These IT resources can include systems, applications, and network infrastructure. User management is the thread that ties users to the IT resources they require. The challenge with user management is that it can be extremely complex and time-consuming. Historically, solutions for this category have been on-premises pieces of software, primarily referred to as directory services. Now, modern organizations are making a move to SaaS-based user management applications for greater ease and flexibility. As IT resources became a vital part of the workflow for employees, IT organizations needed to figure out how to connect users to those resources without difficulty. Early on a computer was a single-user instance, providing all the hardware and software that was necessary for self-sufficiency. In other words, everything one needed sat on one’s desk. As networks became more prevalent, shared IT resources began to emerge, including network connections, file storage, and applications. Over time, resources and users increased, although it was not necessary that every user have access to every resource. Consequently, the concept of role-based access control started to emerge. Users were granted access to only those resources specific to their job or role in the organization. While the process of role-based access started manually, with users remembering their password to log in, a scalable solution became necessary for larger organizations. A category of user management solutions emerged entitled directory service or identity provider. The directory service would store user credentials in such a way that applications and other IT resources could verify if the user is allowed access. A central user management system automated parts of this process. With the advent of grouping mechanisms it was further simplified. Two major solutions emerged in the identity provider category in the mid-to-late 1990s – the commercial Microsoft Active Directory and the open source OpenLDAP. Active Directory became the market share leader over the ensuing decade and a half. With mostly Windows networks and IT resources behind the firewall in the mid-2000s, Microsoft AD was adopted en masse. However, as the IT landscape started to shift to being primarily cloud-based, the legacy on-prem directory solutions began breaking down. A new concept – that of the SaaS user management solution or Directory-as-a-Service – was introduced to solve this need. Effectively, the approach was to create a new directory service that lived in the cloud and connected users, wherever they may be, to all types of IT resources – Windows, Mac, Linxux, on-prem and cloud applications, and WiFi networks among many others. 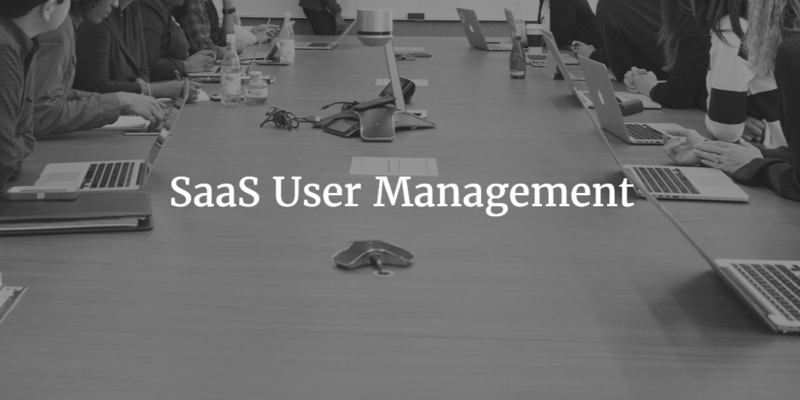 SaaS-based user management is the next generation approach to binding users to the IT resources they need. A cloud identity provider is an easier path when connecting cloud infrastructure and applications to users. If you would like to learn more about JumpCloud’s Identity-as-a-Service platform, Directory-as-a-Service, and how it can support your IT infrastructure, drop us a note. Or, feel free to try JumpCloud for free. Your first 10 users are free forever.